At McGregor on the Water, our boater's store offers a variety of accessories to meet any boating need you may have. 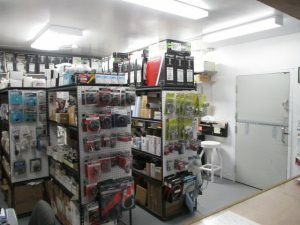 We stock all types of accessories from boat wash and cleaning supplies to fenders and lines to full stereo upgrades from Clarion, Raytheon Electronics, and Jensen. We deal with six different major suppliers to ensure that if we don’t have the product in stock, we can get it. On most items we can also receive next day delivery to help serve you better.